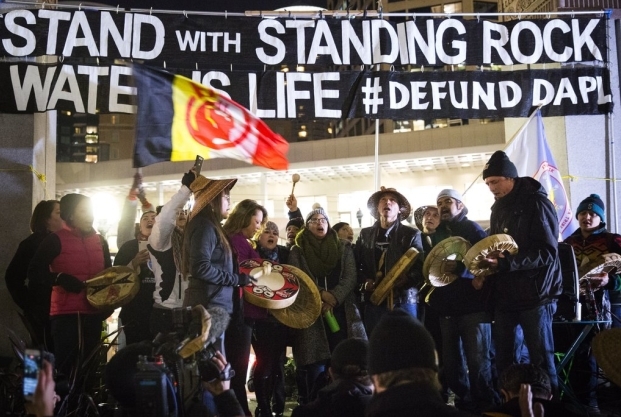 Seattle is on track to end ties with Wells Fargo over the Dakota Access Oil Pipeline. The Seattle City Council Finance Committee voted 8-0 on Wednesday to divest $3 billion in City of Seattle money out of Wells Fargo over the bank's role as lender for the Dakota Access Pipeline and seek a more socially responsible bank to manage the city's money. A full vote by the Seattle City Council is scheduled for Monday. The bill, co-sponsored by council members Kshama Sawant and Tim Burgess, will be heard at 9 a.m. before the Affordable Housing, Neighborhoods and Finance Committee. 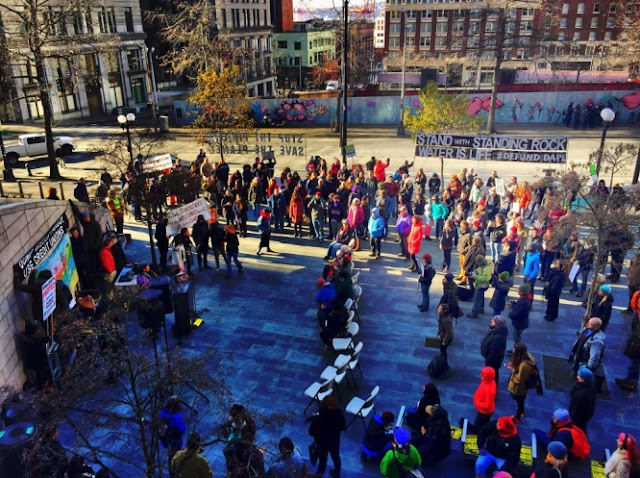 Anti-pipeline demonstrators will rally at City Hall at 8:30 a.m.
A rally against the pipeline drew hundreds in Seattle last week when President Trump issued an executive order calling on the U.S. Army Corps of Engineers to issue the last easement needed for work to be completed on the more than 1,000-mile-long oil pipeline from North Dakota to Illinois. Crews are on standby in hotel rooms, waiting for the easement, and could finish the pipeline within two weeks if they work around the clock. On Tuesday, North Dakota Sen. John Hoeven said the Army Corps of Engineers was ordered to allow construction of the Dakota Access pipeline to proceed. Meanwhile, the Standing Rock Sioux tribe vows to sue to block construction in court. The U.S. Army Corps has begun an environmental review of the project, requested by the tribe, which the tribe wants to see completed. Opponents remaining in protest camps near the drill pad have vowed to stay, even as cleanup work begins at the camps before expected flooding by the Missouri River. The bill before the Seattle City Council would also create requirements to take social-justice principals into account when awarding city contracts. Wells Fargo manages more than $3 billion of the city’s operating account, including a biweekly payroll of $30 million for about 12,000 employees. The average daily balance in the city’s account with Wells Fargo is about $73 million. Wells Fargo, along with 16 other banks, is a lender to the Dakota Access Pipeline project. Wells Fargo has $120 million in a $2.5 billion credit agreement funding the pipeline project, according to Jessica Ong, with Wells Fargo corporate communications.
.@SeattleCouncil Finance Committee approves #WellsFargo #NoDAPL bill 8-0. Full Council vote on Monday. Responses to "Seattle City Council to divest $3 billion investment from Wells Fargo over DAPL"